On January 10, 2017, Lebanon Police took a report of a theft which occurred from a storage area located at a local apartment complex. It was reported there was forced entry into the storage unit and two guitars were stolen. During the subsequent investigation, it was discovered that the two guitars were sold to a local business. Officers were able to obtain the name of the person who had brought the guitars into the local business. 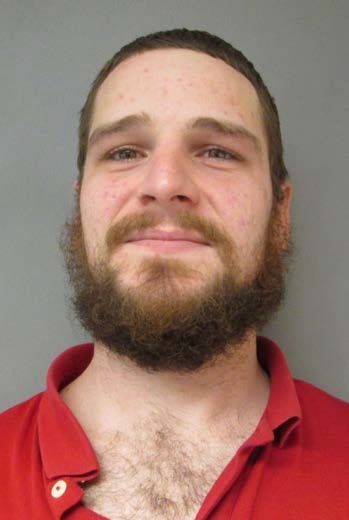 On February 8, 2017, as a result of the investigation, Daniel R. Aremburg, age 28, of Lebanon was arrested pursuant to an Arrest Warrant charging him with Receiving Stolen Property, a Class B Misdemeanor. Aremburg was subsequently released on Personal Recognizance bail and is scheduled to be arraigned in the Lebanon District Division, New Hampshire Second Circuit Court on April 17, 2017 where he is likely to face upgraded charges due to the circumstance of the incident and prior theft convictions.